Are you living as your happiest, healthiest, highest Self??? I’m SO happy to hear it! Because happiness, health and your highest Self have been waiting for you! In fact, they’ve been inside you all along. Waiting to be acknowledged and nurtured. I’m your official MindBodySpirit healing guide and mentor. I’m the chick who’s hit absolute rock bottom (read more about my own story from life-threatening illness to thriving wellness here) and wallowed in the depths of darkness long enough to learn how to rise from the ashes and become her own bright light. My one-of-a-kind holistic mentoring approach provides the 1-on-1 customised support you need to design and live your dream life! I combine my expertise as a Life and Health Coach, Emotional Freedom Technique (EFT/Tapping) practitioner, Nutritionist and Reiki Master to facilitate deep healing and optimise wellbeing of Mind, Body AND Spirit. If you’re exhausted by the trial and error of superficial, extreme, anxious efforts to achieve health and happiness (who could blame you!) and finally willing to explore true TRANSFORMATION, whole being ALIGNMENT and wild ABUNDANCE, I’m right here to support you, beautiful! The part of you that guided you to this page is calling for you to take notice. Of the happiness, health, and higher Truth within you. That push, that sign, that nudge you’ve been waiting for? When we honour our holistic makeup and nurture every element of Self, this is when we enter a state of alignment, inner harmony, and flow from which true wellness and radiance can manifest. Yep, HOLISTIC living is the pathway to your highest health and happiness! Having applied this model and these principles to my own recovery from eating disorders, chronic stress and anxiety, PTSD, Chronic Fatigue Syndrome, Fibromyalgia, and life-threatening Lupus, I’ve developed a profound understanding of how to genuinely heal and transform a WHOLE being from the inside out, and it is my absolute JOY to facilitate this depth of transformation for you, gorgeous! 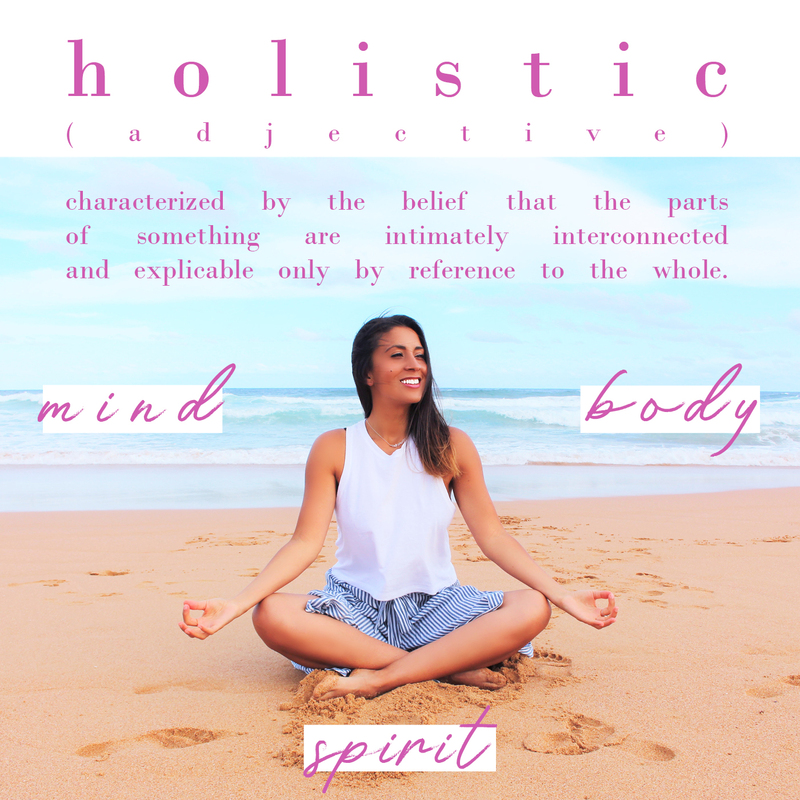 My own lived experience and formal training in MindBodySpirit wellness make me uniquely qualified as your holistic healing guide. But, beyond these formal qualifications, I extend my genuine support as a fellow self-healer who has been to the brink, back again, and ever forward by practically applying my learnings to my real-life human experience. This is how I know this holistic approach works. It works for me and the thousands of beautiful souls I am blessed to guide on a daily basis. I’m here (literally on this Earth in this lifetime) to facilitate your elevation in Mind, Body and Spirit so that you can align to a higher state of self-sustaining health and happiness. Ever thought a simple phone call could be the gateway to your dream life?! This Discovery Call is your FREE chance to share your story and goals with me and learn more about how my unique holistic mentoring program can support you in realising your highest life experience! 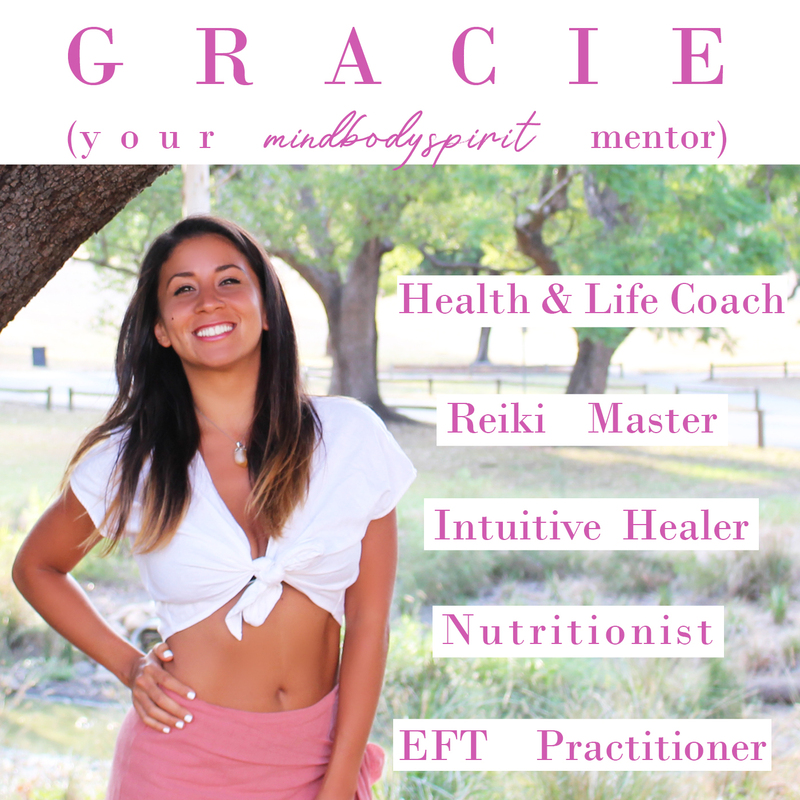 My one-of-a-kind holistic approach combines my expertise as a Health & Life Coach, Reiki Master, EFT Practitioner, Intuitive Healer and Nutritionist to heal your WHOLE Being. Don’t wait anymore, beautiful. Book this call. Start your new life, today!